The state of Western Australia is MASSIVE. Plenty of room for growing wine right? You'd be right, except much of the state is comprised of hostile desert or vast dry plains unsuitable for vineyards. In fact, although Western Australia is the largest state of Australia, comprising of the entire western third of the country, it's wine regions are all huddled in the cooler climate of it's South-Western tip. For the last few decades, the reputation of this wine region has skyrocketed, to the point that almost all wine lists in Australia carry several wines from this state. Western Australia only accounts for around 5% of Australia's wine production, however produces nearly 26% of what is considered Australia's premium wines. 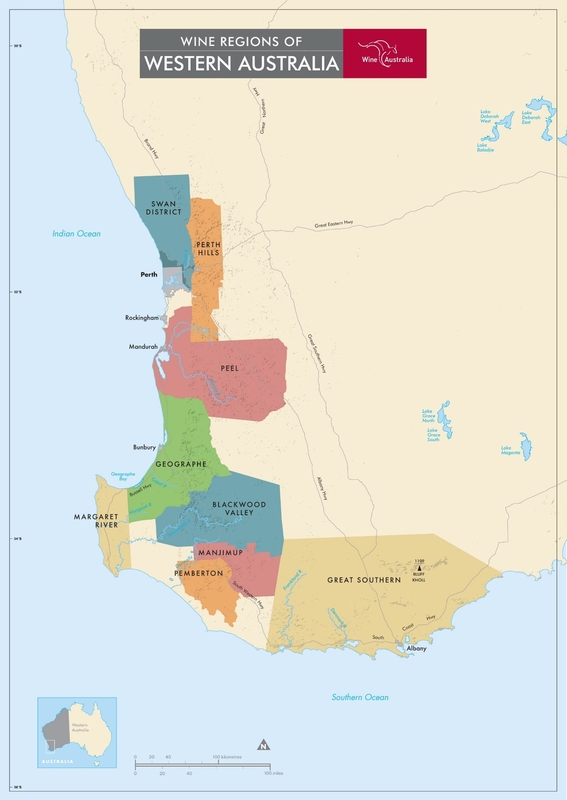 According to Wine Australia, there are 9 main wine regions to Western Australia, and while some of them are small production areas that are still growing in size, several of them have become so well-established that they have their own sub-regions. The main wine regions of Western Australia. The Swan District is well placed within the state of Western Australia, incorporating the vineyards to the immediate North and East of the state capital, Perth. This proximity to the city of 2 million people, allows for great local and tourist access, and promises plenty of growth in the near future. Swan District is one of the larger producers in Western Australia, and is in fact the oldest wine region of the state, having first been planted in the 1830's. For almost 150 years, the Swan District was the only significant wine producer in Western Australia. The Swan Valley is within the Swan District and is often considered to be one of the hottest growing climates in Australia with an extremely high mean January temperature of around 24.15°C (75.5°F) and is very dry during the ripening and harvest period. The saving grace comes from the famous 'Fremantle Doctor' a South-Westerly sea breeze that relieves the heat of the area. The principal varieties of the region are very different compared to most of Australia's wine regions, as they are mostly white grapes. Chardonany is of course produced in large quantities as in other areas, but varieties like Chenin Blanc and Verdelho have proven wildly successful in this dry, hot and windy climate, though the classic Shiraz and Cabernet Sauvignon varieties thrive here too. The Perth Hills Wine Region is located to the East of the Swan District and the city of Perth. 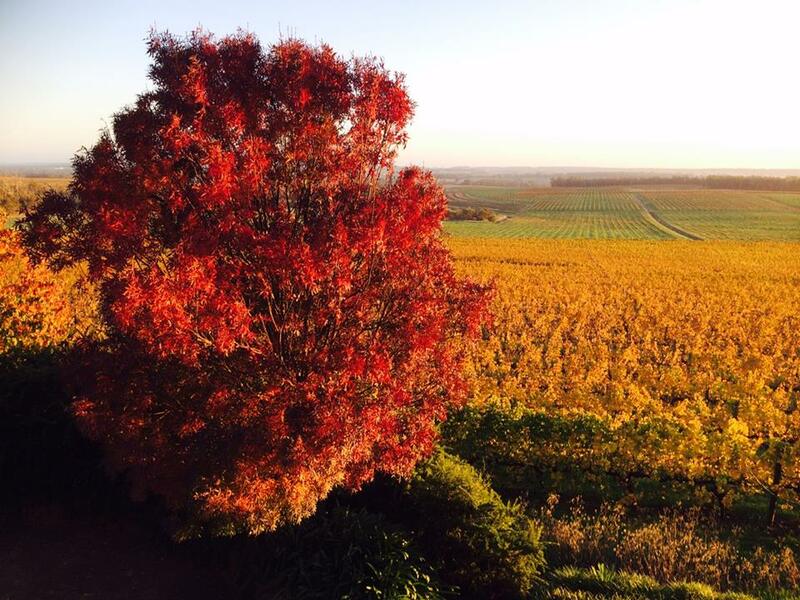 Considered a relatively new region, it was awarded official status as a wine region in 1999. The official Perth Hills wine growing area follows the path of the Darling Scarp (also known as the Darling Escarpment or Darling Range) a low escarpment that rises some 400m (1300ft) above the coastal plains surrounding Perth. This is a unique, geographical and geological feature that greatly influences the varieties planted here. The Darling Scarp brings about cooler nights and lower maximum annual temperatures (compared to parts of neighbouring Swan District) provide relief for cooler climate varieties, while warm, dry Summers ensure the grapes will always reach full ripeness. The vineyard plantings are found mostly on the Darling Scarp itself and it's Western slopes, with ridges, hills and valleys aplenty. 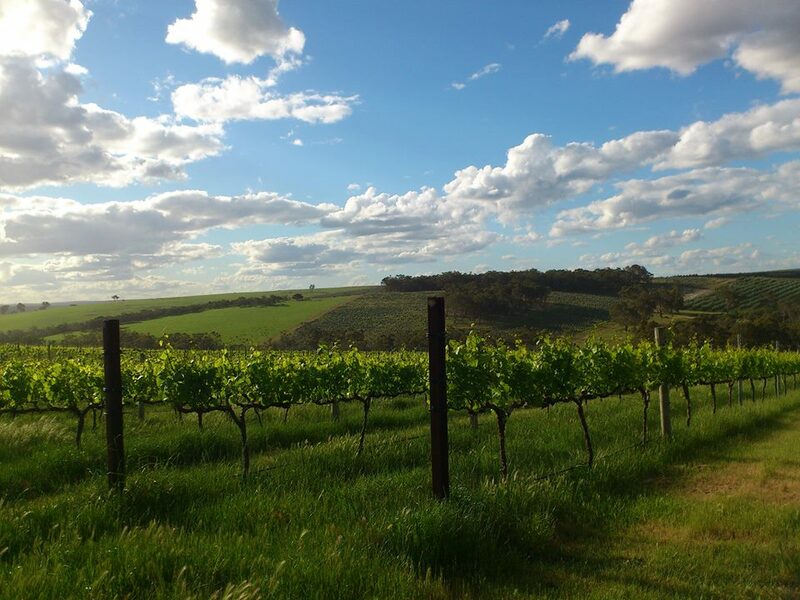 These vineyards start near Bindoon in the North and are scattered across the escarpment for over 120km, finishing near Serpentine in the South. As the region is young, there are many experiments being held as to what will grown well here, with Pinot Noir, Sauvignon Blanc, Malbec, Viognier, and Tempranillo all being grown alongside Western Australian staples like Verdelho, Chenin Blanc, Shiraz and Cabernet Sauvignon. Heading further down the coastline, we come to the Peel Wine Region, which shares a story in common with many Australian wine regions, in that it was founded in the 1800's but didn't really establish itself until the 1970's. The Peel Wine Region is large in potential growing area, stretching North to it's border with Perth Hills at Byford and South to it's border with the Geographe Wine Region. It's real expanse lies inland, as it's boundaries extend far East, more than 100km to the towns of Wandering and in the South-East the region ends near Williams. With so much space to grow in, it's no wonder there is plenty of interest in the Peel Region, though with only 200ha currently planted, it is considered an emerging wine region. This region has several unique areas with costal, limestone plains and hills building up to 300m over the Darling Scarp, and across and beyond the Darling Plateau. Commonly grown varieties include, Shiraz, Chardonnay, Chenin Blanc and Verdelho with newer plantings including Tempranillo, Viognier and Grenache amongst others. The Geographe wine region is a diverse area, centred around the city of Bunbury and lies in between the Margaret River and Peel wine regions. Geographe follows the curve of the Geographe Bay and is heavily effected by the cooling sea breezes as they blow across the rolling hills near the coastline. There are four distinct regions to Geographe, that curve through the hillsides following the coastline. In the North of Geographe lie the small vineyards of Harvey, an area of hills and coastal plains. This small region has an Italian heritage which brings wine styles like Arneis, Nebbiolo and Moscato have become common. Sandy soils are common on the coastal plains, while fertile alluvial soils can be found in the foothills. Up next, the Ferguson Valley is located just 15 minutes to the South-East of Bunbury, and about 2 hours South of Perth. This region has grown into a popular tourist destination due to it's easy access from the regional centre of Bunbury. These hillsides are higher in altitude than the Northern areas, and have a similar climate to the Southern Rhone Valley of France, though with slightly more humidity and rainfall due to the influence of the Indian Ocean. The soil consists of gravelly sandy loams, with some of the hills contains significant granite deposits. Typical Australian varieties such as Chardonnay, Semillon Shiraz and Cabernet Sauvignon are popular here, with Tempranillo being planted in significant amounts in recent years. The third region of Geographe is Donnybrook, and has for many years has been known as the 'Apple Capital of the South-West', but in recent times has expanded that growing expertise to grapevines. Most of the producers around the town, and Preston Valley are very small, family-owned operations. This area is warmer than most of the rest of Geographe, with gravelly, sandy loams retaining much of that heat. Varieties like Shiraz, Cabernet Sauvignon, Grenache, Malbec and Zinfandel have been successful here. The final region is shared between the areas of Capel and Busselton , which are the most coastal wine regions of Geographe and are located near the border with Margaret River. While this region is more famous for the iconic Busselton Jetty, the longest wooden piled jetty in the Southern Hemisphere, the hilly areas just inland are ideal for viticulture. The topography of the area consists of flat coastal plains with sandy soils, rising up into the Whicher Range, where gravelling ironstone and free-draining loamy soils are found. The warm coastal plains are favourable for full, ripe varieties such as Shiraz, Grenache, Merlot and Semillon. The vineyards in the Whicher Range (rises to an average elevation of 170m/555ft) are much cooler and are mostly planted with an interesting mix of Cabernet Sauvignon, Merlot, Sauvignon Blanc and Viognier. The Margaret River region is easily the most famous wine growing area of Western Australia. This region is considered to be one of the most maritime influenced wine regions of Australia, as it is surrounded on 3 sides by the Indian and Southern Oceans. 100km(62mi) long and 27km(16mi) wide, Margaret River stretches from Cape Naturaliste in the North to Cape Leeuwin in the South, with most vineyards being planted in the hills and dells of the Leeuwin-Naturaliste Ridge the separates the two capes. This wine region has one of the lowest annual mean temperatures of all Australian wine regions at just 7.6°C (45.68°F), and has less than 25% of it's annual rain falling during the growing season. Margaret River was truly founded as a wine region by Cardiologist Dr. Tom Cullity, when he planted the first few acres of vines in 1967. Dr Cullity named this vineyard 'Vasse Felix' and this producer continues to be one of the most well-regarded vineyards of the region nearly 50 years later. 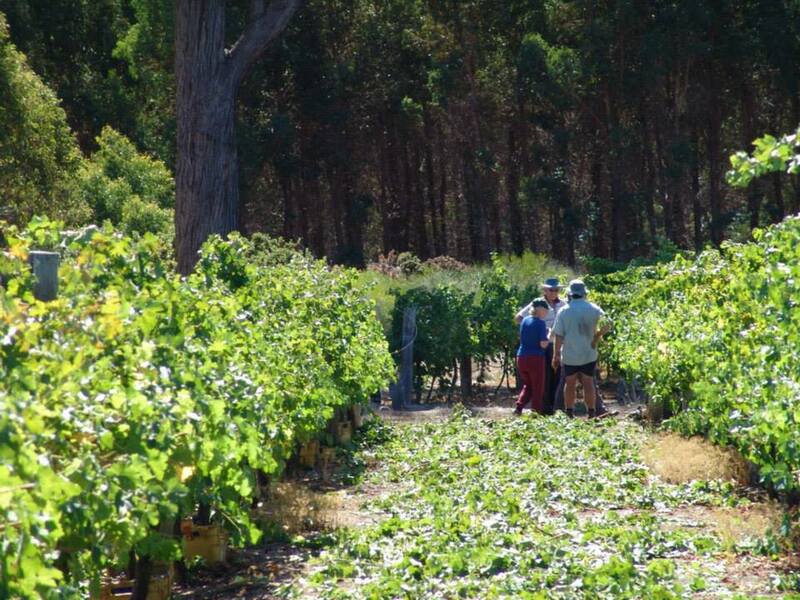 Now, Margaret River has grown to around 5,000ha under vine and approx. 215 producers, many of them boutique-sized. While Margaret River has no official sub-regions, areas like Yallingup, Treeton, Karridale, Wallcliffe, Carbunup and Wilyabrup, show such large differences in soil, climate and overall wine style, that there has been suggestions for such a system to be put in place. Most of Australia's main varieties are focussed on in Margaret River, though the style produced tends to be softer and richer, with higher acidity, especially for the region's signature Cabernet Sauvignon and Shiraz. Some of Australia's best Chardonnays have hailed from this area, and Sauvignon Blanc and Semillon have done well for the last few decades too. All in all, Margaret River, while it's production is small on a national scale, but the quality is through the roof! Although Margaret River produces only 3% of Australia's wine, over 20% of the premium wine of Australia comes from this small wine region! Wines from here are even represented on 25% of all Australian wine lists. Blackwood Valley is an inland wine region, that follow the course of the Blackwood River, Western Australia's longest continually flowing river. Located 260km (160mi) South of Perth, between the Geographe and Manjimup wine regions, Blackwood Valley's remote location, has lead to a just 50 small wine producers to set up here. The geography here varies between the smaller valleys as elevations in the hills rise to 100m(328ft) in the West and 340m(1115ft) in the East. Alluvial soils gather at the valley floors near the rivers, with thinner, well-drained soils on the slopes. Blackwood Valley was founded in 1976 with the first vines being planted by Max Fairbrass for his Blackwood Crest Winery, which even nearly 40 years later, has kept a small production and a modest profile. There are now just over 450ha(1111 acres) under vine in Blackwood Valley, with many classic varieties represented including, Chardonnay, Shiraz, Sauvignon Blanc, Merlot and Cabernet Sauvignon, though the cooler areas of Blackwood are also home to some small productions of Riesling, Pinot Noir and Viognier. The reds from this region are known for their Mediterranean-style earthiness and many of the whites show a signature golden honey flavour. With such a small production and only 15 cellar doors, this is a wine region, begging to be visited in person. Manjimup is another small wine region located to the South of Blackwood Valley wine region, 300km(186mi) from Perth, nestled amongst a forest of eucalypt (Karri, Marri and Jarrah) trees. The vineyards are kept watered by the small rivers the flow through the area, carving out soft alluvial valleys perfect for vineyards. The first successful vineyards were established here in the late 1980's, but has now quickly grown to nearly 600ha(1482 acres). Manjimup has successfully built up a quality gourmet food scene, primarily around it's local truffles, but also including fruits and vegetables with high quality boutique wines now adding to that list. Pinot Noir is widely planted here, with other stables of Cabernet Sauvignon, Chardonnay and Merlot becoming popular plantings in the region. Cooler-climate styles of Sauvignon Blanc and Verdelho are also starting to be produced. Rolling hills between the forests, make for easy growing conditions, but it took until 2005 before this region became an official wine region along with Pemberton. Pemberton closely mirrors it's sister wine region, 30km(18mi) to the North, Manjimup, and the regions are often included together in the same wine tour maps due to their proximity to each other. The Pemberton wine region is located within the valleys surrounding the many tributaries of the Warren and Donnelly Rivers, especially notable is Lefroy Brook which flows right past the town of Pemberton. Just like Manjimup, Pemberton is also well known in Western Australia for a stellar gourmet scene, with orchards supplying bounties of fruit, and once again, delicious truffles to be foraged for. The first commercial vineyard in Pemberton was established in 1982 by Pat and Barbera Holt. The areas vineyards are mostly found at areas around 100-200m (328-656ft) in elevation, allowing for cooler-climate varieties such as Pinot Noir and Chardonnay to flourish. Bordeaux-style red blends are also very popular in Pemberton with Cabernet Sauvignon and Merlot growing well in the rich, red Karri loam soils that support the massive trees of the area as well. The Great Southern wine region is truly huge in size! In fact, it has the honour of being the largest Australian wine region, stretching around 100km(62mi) North to South and close to 190km(118mi) East to West. In fact, Great Southern is so large and diverse when it comes to landscape, that despite being home to only 50 wineries, there are actually 5 distinct sub-regions. These 50 wineries have buckled down on their sub-regional identities though by increasing plantings in recent years and there are now over 2335ha (5770acres) under vine across Great Southern. We'll cover off a little bit of each sub-region before we finish Western Australia entirely. Mount Barker is possibly the most talked about sub-region in Great Southern, becoming well known for world-class wines of several different varieties. This region is on a set of crossroads between the major regional capitals of Albany and Perth as well as several smaller townships, leading to the growth of wine tourism around the town. Mount Barker is located around 50km from the Southern Ocean, creating a climate that is Mediterranean in style, and subtle Continental influences. High diurnal (day-night) differences in temperature, make for excellent acid retention, but also makes it possible to plant several different grape varieties successfully. Large protrusions of granite are common to the area and have eroded and decayed to give way to gravelly and sandy loams, forming a soil type known as 'Mount Barker Marri soil'. Due to this soil Mount Barker has become known for it's unique style of Riesling, with spectacular Shiraz and Cabernet Sauvignon represented too. This soil has also proved excellent in recent years for high-quality plantings of Cabernet Franc, Chardonnay,Pinot Noir and Merlot. The pioneer of this sub-region, Plantagenet Wines, first planted here in 1968, and continue to be one of the largest producers of the area, with several vineyards planted around the region. In the video above, take a walk through the 'Rocky Horror' Vineyard at Plantagenet Wines, with vineyard manager Jordan Ellis. Frankland River is the largest sub-region in Great Southern with over 1,600ha (3953acres) under vine already planted. Much of this is being sourced for wineries elsewhere in the state. This is also the furthest inland and the most northerly of the sub-regions, a landscape of rolling hills, set in the catchment of four rivers, and close to several small lakes. Even this far inland a soft sea breeze still manages to find it's way to the vineyards, cooling them down especially in the evenings. The soils here are rich and red, with ironstone-based gravels and marri loams, perfect for Shiraz, Riesling and Bordeaux-style blends. Denmark is a maritime focussed wine region, on the Southern coastline of Western Australia, where towering eucalyptus trees, meet the crashing surf of the cold Southern Ocean. Denmark has marketed itself as having a relaxed village atmosphere, and being located only 45-minutes West of the regional capital, Albany, Denmark has become a popular day-trip and weekend destination. The vineyards here enjoy a Mediterranean climate of warm, dry Summers and cold, wet Winters, with the maritime influence being moderated as you head further North. In the North of the sub-region lie steep hillsides and valleys, providing many micro-climates for grape-growing. Sandy loam and Karri loams soils, provide an excellent base for cool climate Chardonnay, Sauvignon Blanc and Pinot Noir, with Shiraz, Merlot and Cabernet Sauvignon prospering in the Northern areas. A very similar climate to it's nearby neighbour of Denmark, Albany is a maritime influenced region, with a cold sea breeze keeping temperature extremes in check. Albany is the regional centre of Great Southern and is also the oldest European settlement in all of Western Australia, with a reputation for excellent agricultural produce, stretching back to the early 1800's. Great transport links to the other centres of Western Australia, make Albany an easy place to start exploring Great Southern. Moderate humidity throughout the growing season, gives stability to the vines and assists in a relatively early ripening period, despite the cooler climate.This is one of the few regions with a substantial amount of clay-based soils in Western Australia, these are mixed through sandy loams derived from granite bedrocks. This soil and climate combination tends to keep yields in the low to moderate area, perfect for concentrated, intensely flavoured wines. Focus in this region has been on cool climate styles of Chardonnay and Pinot Noir, though success has been found for many varieties including, Sauvignon Blanc, Shiraz, Merlot, Riesling and Cabernet Sauvignon. The 5th and final sub-region of Great Southern, is a small wine region to the East of Mount Barker, named Porongurup. Porongurup is the name of a small, but spectacular geomorphic, granite mountain range, which is just 12km(7.5mi) long, and 670m(2170ft) high. The vineyards are located to the North of this range in a very special climate, called a 'night-time thermal zone', which is created by layer of warm air rising above the cold , dense mountain air which moves down the mountain-side at night. This creates a sort of 'air drainage' which vastly reduces the risks of frosts, and combined with the unique micro-climate of cool, cloudy Summer days, creates excellent grape-growing conditions. Porongurup has become known for well-balanced wines of several varieties, the focus lying with cool-climate Riesling and Pinot Noir, though Chardonnay, Cabernet Sauvignon and Merlot have been successful here too. We've just covered the whole lot of one of Australia's most exciting and diverse regions, Western Australia! A huge selection of climates, soils and incredible vineyard sites, from those surrounded by pounding surf to those towered over by massive Eucalyptus trees. Western Australia is the premium wine capital for Australia, with over 26% of all premium wine coming from this area, despite representing just 5% of total Australian plantings. As top Western Australian wines continue to become available around the world, many are still available only from family vineyard in their home regions, so please go out there and visit these unique places! Thanks for learning about Western Australian Wine with me, if you have any regions you would like to learn about, please feel free to contact me or check out my overviews of other wine regions!